Jenny Rooney, CMO Editor at Forbes, shares insights on these questions and talks about ways she works with higher education to co-sponsor events on episode 5 of FIR on Higher Education. She talks about her editorial priorities in the months ahead and shares best practice for communicators and spokespeople. Kevin: So I’m joined by Jenny Rooney, the CMO Editor at Forbes. Jenny thanks very much for being on the show with me. Jenny: Thanks for having me. Kevin: So I am talking to Jenny live at an event here at Duke University. Jenny and I were in contact when I was still at Duke and we were planning the Future of Marketing event which took place earlier today. I moved on from Duke by the time the event actually happened but was thrilled that I was able to see what happened earlier today. It seemed like a win-win for both Duke and for Forbes. And I wanted to talk to Jenny a little bit about this model that Forbes has and that it’s working with a number of different business schools on co-organizing different marketing events. And so Jenny, can you talk a little bit about this model? What is the purpose, what are you looking to accomplish, what types of schools have you been working with, what are the overall goals in some of the events that you’ve run so far and that are looking to run in the future? Jenny: So the background is just that frankly it was as simple as this. I graduated from Miami of Ohio myself as an undergrad and I did not go through the business school. I graduated with an English major and creative writing, double major. I went on to get my journalism degree at a different school. But, part of my job as editor of the CMO Network at Forbes is interviewing a lot of CMOs. And I kept interviewing folks and I have in discussion discussed where they graduated from college. And all these people kept telling me Miami University in Ohio. And I just thought that is so neat. You know, there are lots of very prominent business schools out there and I didn’t know, you know, I was certainly surprised to see how many CMOs had come out of Miami. And I had had a conversation with Dave Knox who is the CMO of Rockfish which is an agency in Cincinnati. He graduated from Miami many years after me. But we were chatting and I think we both have this idea that wouldn’t it be neat to bring back to campus not just one alumni but a whole bunch of them. There is this critical massive of very impressive high level marketing talent. And so, I said, well, Forbes CMO Network would love to be behind an event. And I reached out to a lot of the contacts that I knew, CMOs who I had interviewed and spoken with and gotten to know through my work. And I asked: do you want to come back and they said, absolutely, count me in. I think there is just this natural inclination to go back to your alma mater to give back. And so we did the first event last year at Miami and it was a huge success. We had a lot of CMOs come back. This year we’re doing it again and we have again just amazing group of CMOs coming back to Miami, next week actually. And meanwhile, I starting thinking of all the other schools that this concept might work at. Jenny: Chris Moorman is one of my bloggers for the CMO Network and she does the CMO survey of course. She is here at Duke. And I said, Chris, we did this at Miami, would you guys ever have interest in doing this, and she said, absolutely. And that’s sort of how it started. And then I got in touch with you and started planning it and ironing out the details. Kevin: So what are the big benefits for you? I mean, you are on the editorial side, but what are the big benefits for you as an editor of the top publication like Forbes? Jenny: It just establishes us as a though leader in this space. I mean, we are creating content through our media platforms, whether it’s online or the magazine, all about marketing and marketing leadership and marketing organizational issues. And there’s a lot of competition in that space but we want to be the content leader. We want to be the “go-to” source for content around marketing. 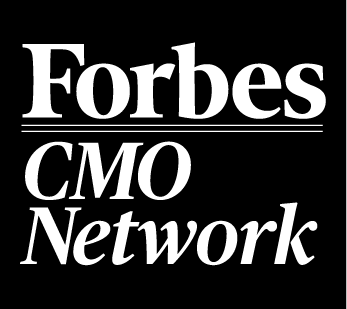 We do a ton of events, Forbes CMO Network has — we have our Annual CMO Summit. We’ve done excursions to other cities, but this was sort of an additional way for us to create events solely focused for business schools and marketing alumni. We want to show that we are in the know, we want to be part of the thought leadership that goes on at university campuses and create that sort of community for marketing leaders. And it just extends our brand in that way. Kevin: Can you talk in broad strokes about the CMO Network: what are the goals, what are the main objectives that the CMO Network is trying to achieve? Jenny: So we’re a content channel within Forbes.com. Forbes is broken out into many different channels of content, there is entrepreneurship, there is leadership. The CMO Network falls under the umbrella of leadership. Obviously it’s marketing leadership so it has its own designation. And it’s really the “go-to” resource on Forbes.com for marketing content. Kevin: So how many years have you now been working at Forbes? Kevin: Three years, okay. So I mean, it’s been fascinating to observe how Forbes has evolved as digital communications has evolved. And now Forbes has a bunch of expert bloggers, writing and you’re obviously managing them to a certain extent. Can you talk a little bit about what you look for in your guest bloggers? Jenny: Sure. I like to say that I want my bloggers to create sort of a mosaic of expertise. I don’t want a whole bunch of generalists. I want sort of a collection of specialists, whether they are from academia or they’re authors or they’re consultants. I want them to all have sort of a niche within marketing that they really honing in on and focusing on in their blogging because I just think that makes for a source of rich and diverse content in the channel. And you know, the great thing about the contributor model is that sort of extends certainly our reach. Forbes has on-staff editors and reporters but to be able to extend to people who are incredible experts in their chosen fields, only helps us bring even better content to our audience. Jenny: And I will just note that every blogger and every contributor has to be absolutel vetted by the editors, so it’s the editor’s decisions about who to bring onboard. Kevin: Sure. Yeah. And so how many guest contributors do you have right now on the CMO Network? Jenny: Right now, I think we’re around 35 devoted to the CMO Network. Some obviously blog more than others. But I try to encourage people to blog at least twice a month to develop a following and a voice. Kevin: So this podcast is targeted at individuals within higher education as well as other thought leaders. For those who would like to blog one day at Forbes and be guest contributors, what kind of advice would you give them as to how they can go about going through the process and finding the right editor? What kind of things are you looking for in the sort of pitch that you would receive? Jenny: I just want someone to come with great clarity with regard to their area of focus and what they are passionate about writing about, what they feel comfortable writing about. I want people to be conversational in their writing style and not hide behind an organization but present themselves as who they are. They need to provide their resume and their bio and any background that sort of proves their value as an expert in a given area within the broader umbrella of marketing. Kevin: Yeah. So you said you have 35 contributors right now. Are you constantly on the look out for new contributors or do you kind of tap out at a certain level? Jenny: I’m not constantly on the look out anymore. I think when I first came on board, that was part of my goal was to bring on a whole bunch of new people. Jenny: I feel like I’m at a good level right now. If somebody comes along and just has such an amazing sort of breakthrough focus that’s not self-serving, then it is worth considering. Clearly, it can’t be something that’s promotional for whatever organization or company or entity that they’re representing. Jenny: Just somebody who, in his or her own right, is very authentic in their expertise. Kevin: Yeah. So, another audience this podcast is targeted towards is public relations professionals. You deal with public relations professionals all the time and I’m sure you have a long list of complaints. If you could, maybe give three best practice tips to public relations professionals. This can is an opportunity to tell some of your horror stories! Jenny: Don’t send me emails and say, oh I’ve got this great person, you know, what do you want them to write about. This happens all the time, all the time. Calling me on the phone. I don’t answer my phone. You can reach me via email. And I guess the last one is just anyone who obviously hasn’t spent their time looking at the site and getting a sense of how the CMO Network is set-up and what kind of content I already have in there and also what posts really resonate, you know – people need to do their homework obviously. Kevin: You interview lots of really interesting people, you probably interview academics a lot, I presume. Can you give some tips to academics who have the academic knowledge and a lot of the research insights, but are not always the best when it comes to delivering messages to the media. Can you give some best-practice tips for how professors can be a valuable source for an editor like yourself? Jenny: Just be candid. I mean I know there is an inclination to, you know, with all due respect, to be so focused on the research that it’s hard to come out and look at it from a practitioner’s point of view. But I think there is such value in that marriage of the academic perspective and the practical experience. And I don’t think that happens so much. I’ve been to universities where I’ve heard about this amazing marketing research that we’ll frankly never see a lot a day or if it does, it’s not ever going to land on a desk of the CMO of Coke or Ford — and I think that’s a shame because there is amazing research going on. But academics and professors need to sort of probably place themselves in the shoes of these people who are running these huge companies and have these amazing brands as well as startups. Don’t be afraid to express an opinion. A personal opinion can certainly be rooted in the research but needs to apply to real world experience and what marketers are dealing with right now. Kevin: So you’re in a unique perspective and that you get to interview lot of interesting professors and practitioners and CMOs. From your perspective, what do you think are some of the biggest trends that you’re seeing for marketers and communicators in the next year? Jenny: I think social media is here to stay but it’s going to continue to morph and I think we don’t necessarily know what it’s going to morph into. I think, you know, the focus on imagery and video and, you know, that kind of thing is happening. Real time marketing, just speed is so critical and a lot of that does, you know, come back to social media. The world is still very diverse but it’s getting smaller and the ability to target people is huge. Brands are going to continue to be not just things on social, it’s just they’re going to be part of people’s lives. Kevin: What are your your editorial priorities in the upcoming months? Jenny: One of my editorial priorities certainly is to focus on this concept of let’s stop talking and let’s start doing. I feel like marketers and CMOs definitely have spent a lot of time last the several years talking about change, but bringing out change is something else. I think 2014 needs to be the year for doing, and I’m certainly going to be paying attention to marketers who are making real change and aren’t just talking about it anymore. Kevin: So, is there anything that I had that, in the course of our conversation that we haven’t discussed – any sort of best-practice for people within the high education world? Jenny: As far as best practices for people in the higher education world, you know, recognize the sort of the treasure trove that you’re sitting on and as marketers — marketing practitioners try to figure out the right course of action. I just think that now more than ever, what’s coming out of the university marketing programs is really important and it needs to gain traction and exposure to marketers and CMOs. I also think that marketing education programs needs to make sure they are paying attention to the just incredibly rapid changes taking place in marketing and apply these into the educational curriculum because it’s changing at lightning speed. So fundamentals will never go away but certainly the changes are big. And I also feel like marketing programs typically focus so much on a client side marketing and you can’t talk about marketing without talking about the agency-client relationship. Jenny: Ad agencies are trying to figure out their way right now to these huge opportunities for people with fabulous marketing backgrounds and agencies and I think that if anything agencies need that kind of marketing education perspective because they are transforming too. So, lots of great opportunities. Kevin: Great. So that’s a great place to leave it. Hopefully as a result to this conversation, you can get a lot of very solid targeted pitches from some PR folks. Jenny: Thank you so much, looking forward to it.